Česká Miss, or Czech Miss, pageant created in 2004 by Michaela Malacova, recently obtained the Miss World franchise for the Czech Republic. A panel of judges will select Česká Miss World 2010 on March 20 and she will go on to represent the Czech Republic in Miss World 2010 in Nha Trang, Vietnam on November 6. Miss Belarus 2010 will be held on April 30 at the National Palace in Minsk. Winner will represent Belarus in Miss World 2010 in Nha Trang, Vietnam on November 6 and one of the runners-up will go to Miss World 2011. Miss Mundo Costa Rica 2010 will be held on March 18. 8 contestants from different regions will take part in the contest searching for the opportunity to represent Costa Rica in Miss World 2010 in Nha Trang, Vietnam on November 6. Thanks to Allan Aleman! Mis Latvija 2010 will be celebrated on April 9 at the Kipsalas Hall. Winner will represent Latvia in Miss World 2010 in Nha Trang, Vietnam on November 6. Ryu Ji-kwang, 24, won the Mister World Korea 2010 title at the Songdo Convention Center in Incheon. He will represent Korea in Mr World 2010 on March 27 in Seoul. First runner-up is Park Hyun-woo and second runner-up is Choi Jae-ung. 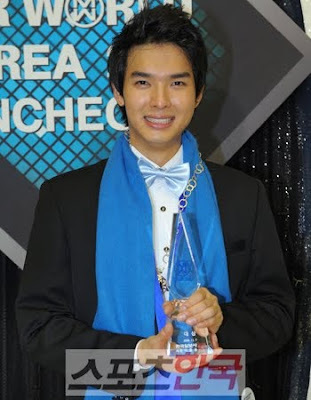 Ryu Ji-kwang, 24, ganó el Mister World Korea 2010 en el Centro de Convenciones Songdo en Incheon. El representará a Corea en Mr World 2010 a celebrarse el 27 de marzo en Seúl. El segundo lugar fue para Park Hyun-woo y el tercer lugar fue Choi Jae-ung. Cilou Annys; 18, 1.78m, from Bruges; was crowned Miss België 2010 or Miss Belgique 2010 on January 10. She is expected to represent Belgium in Miss World 2010 in Nha Trang, Vietnam on November 6. First runner-up is Lien Aernouts and the second runner-up is Binta Telemans. Cilou Annys; 18, 1.78m, proveniente de Brujas; fue coronada Miss België 2010 ó Miss Belgique 2010 el pasado 10 de enero. Se espera que ella represente a Bélgica en Miss World 2010 en Nha Trang, Vietnam el 6 de noviembre. La primera finalista es Lien Aernouts y la segunda finalista es Binta Telemans. 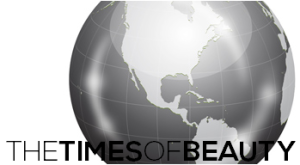 -TimesOfBeauty.com LIST OF FAVORITES FINAL LIST, October 29! -Miss World 2010 on TV FINAL LIST! -Miss World 2010 (October 30) NEW! Click on the contestants photos to see their exclusive interviews!